More than ever, we see publishers investing in building direct connections with their readers to cultivate stronger relationships. With the threat of Facebook’s pivot away from publishers, publishers are increasing their investment in on-site engagement, email newsletters, and subscriptions where they own the relationship with their readers. We recently released a new Email Subscriptions feature to support publishers looking to grow their email list and convert their most engaged commenters into subscribers. Email gives publishers the direct means to reach their audience, allowing them to convert new readers into loyal readers who are more likely to visit more frequently, actively participate in the community, and start a paid subscription. When the Email Subscription feature is enabled on your site, a prompt will appear directly below the new comment box inviting readers to subscribe. Here, you can update the title and short description to describe the content readers are subscribing to, the benefits of joining, and the email frequency. We recommend experimenting with different copy to determine the one that leads to the highest rate of conversion. Talk about the benefits to subscribing so that readers know what to expect. Are they receiving a summary of the week’s most read stories so that they can catch up on stories they might have missed? Or, are you providing exclusive content that they won’t find on the site such as interviews with industry experts? Over at Wirecutter, readers can subscribe to a weekly summary of their latest product reviews and updates. Finally, here’s an example from Treehugger, a blog about sustainable living. We really like how they convey the site’s voice in an authentic and approachable way. When readers first subscribe to your email list, send them a welcome email to thank them and explain what makes your newsletter great. If you wait too long before sending the first email, the reader may forget why they subscribed and decide to opt out. Welcome emails also tend to generate higher open rates so use the opportunity to engage them in a meaningful way. To get started with setting up your first welcome email, we recommend Mailchimp’s automated welcome emails for its ease of use and customization capabilities. 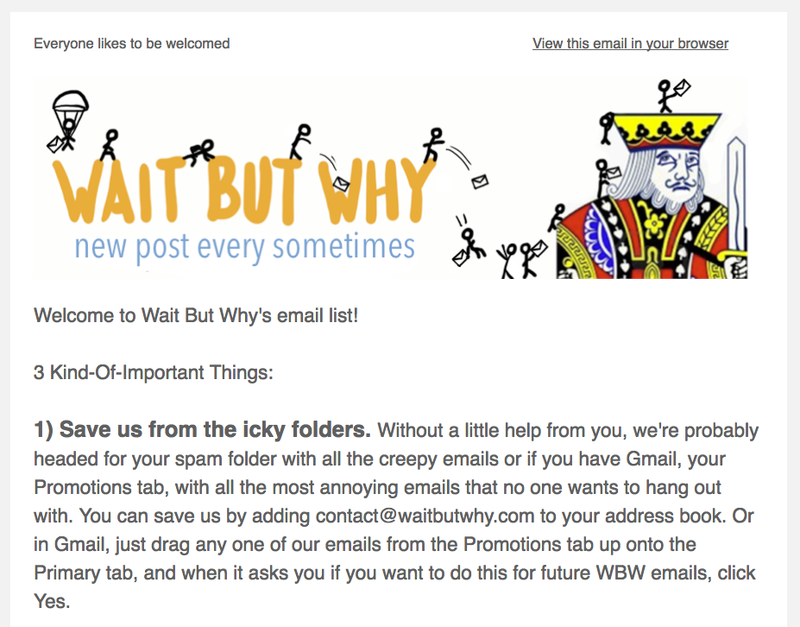 If you’re looking for inspiration on writing an effective welcome email, check out this email from Wait But Why. In it they share useful tips about being a newsletter subscriber and a curated list of popular articles that readers may like. Using our updated Zapier integration, you can automate the task of manually transferring new subscribers over to your email marketing service. Create a workflow in just minutes that automatically imports every new subscriber contact to nearly 40 different email services including Mailchimp, Campaign Monitor, or Constant Contact. 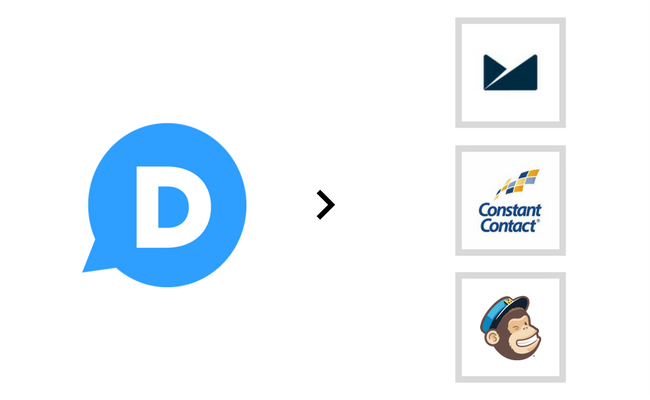 Let us know how you’re using Email Subscriptions on Disqus. Share feedback about what you’d like to see improved in the comments below.